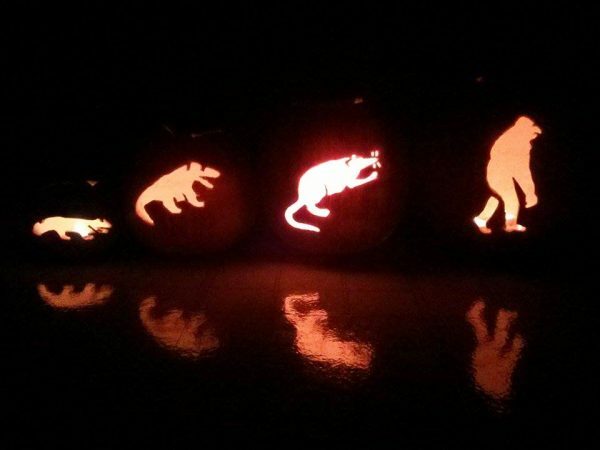 Home > News & Blog > Announcing the winner of our pumpkin-carving contest: “Evolution” by Pete Zupan of Washington, DC! 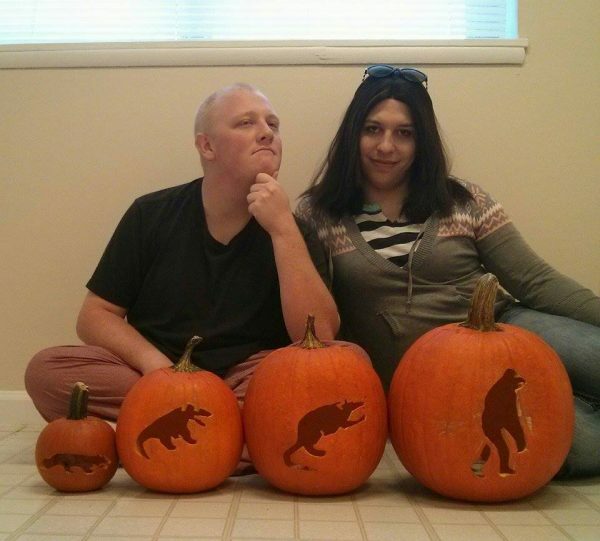 Announcing the winner of our pumpkin-carving contest: “Evolution” by Pete Zupan of Washington, DC! We are thrilled to announce the winner of our first-ever atheist-themed Pumpkin Carving Contest. The winner will receive a voucher redeemable for a ticket to the 2015 National Convention in Memphis, Tennessee this coming April 2-5. The winning pumpkin was a depiction of the “Evolution” sequence from Carl Sagan’s “COSMOS.” The design was unanimously advanced to the second round (public voting) during the first round, where American Atheists staff picked our Top 5 submissions in a double-blind vote. During the public voting round, “Evolution” and the runner-up, “Hitch,” were neck-and-neck and for awhile, we thought we might have a tie! During the last hour of voting over a 48-hour period, “Evolution” pulled ahead, and ended up taking the lead by 14 notes when voting was cut off at noon on Friday, October 31st. Congratulations to Pete and great job on the pumpkin! For more contests, please like our Facebook page. Pete Zupan & Stephanie Guttormson with the winning entry. Your ticket for the: Announcing the winner of our pumpkin-carving contest: “Evolution” by Pete Zupan of Washington, DC!